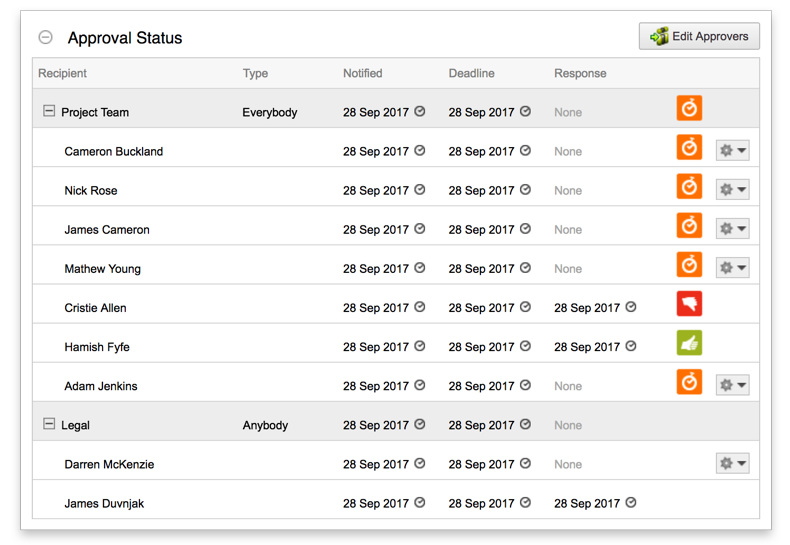 Create complex, multi-levelled approvals or push those urgent jobs through with the quick approval feature. Send approvals to the right stakeholders in the right order. 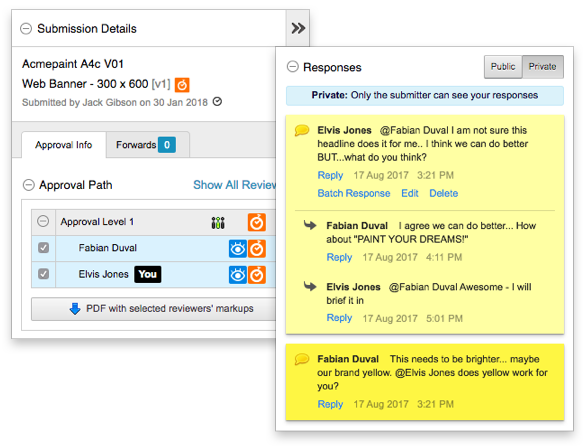 Achieve more visibility over your approvals with an approval dashboard. 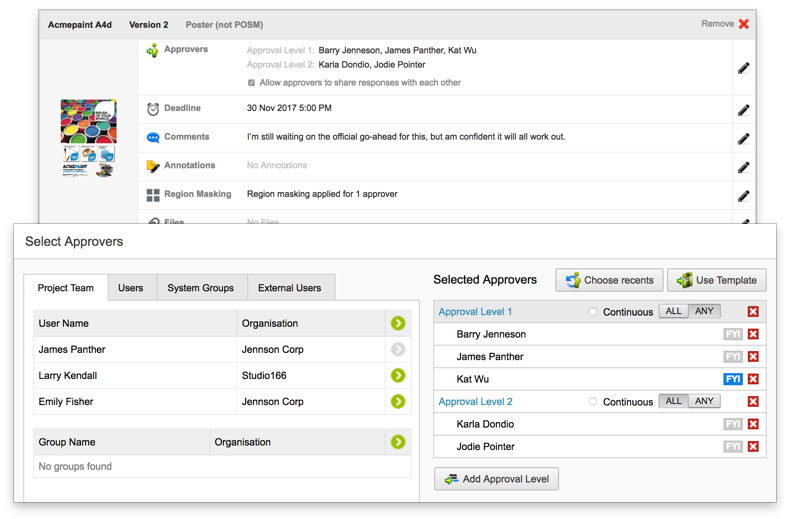 Admation’s Approval Dashboard provides full visibility over your approvals with a simple, user-friendly interface. View a summary of all approvals in progress at a glance. 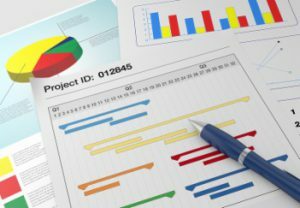 See what briefs, estimates, documents and production files are waiting for approval. 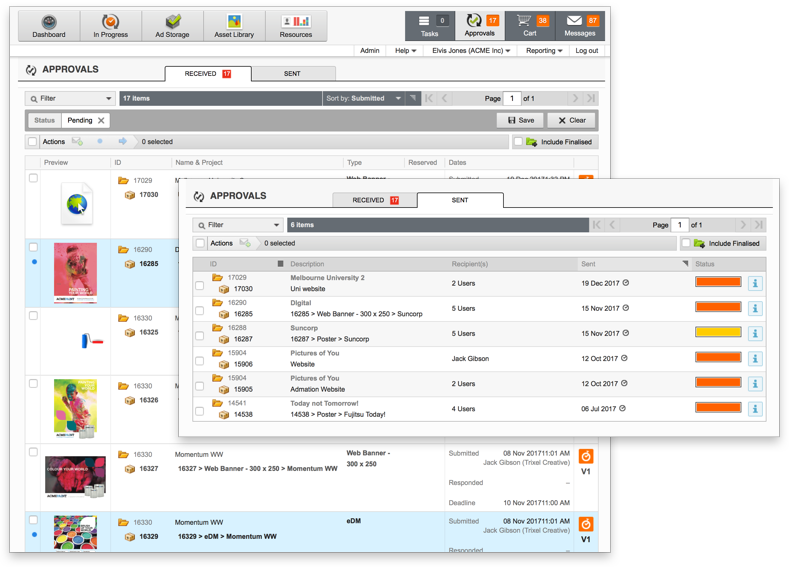 Locate project work in just seconds with a powerful search function. 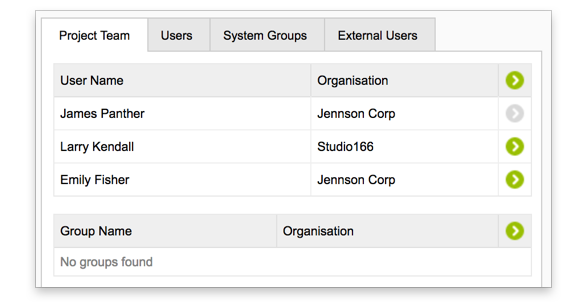 Project status icons enable you to identify the progress of approvals instantly. We understand that some campaigns are urgent while others require more stakeholder input. Admation gives you two approval options: Anybody Approve and Everybody Approve. Anybody Approve enables you to request approval from a group, so one person’s approval is adequate for sign off. 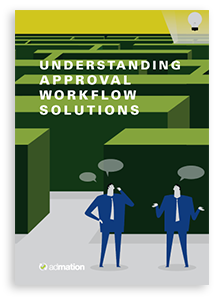 Everybody Approve requires all stakeholders in a group to approve marketing collateral before it can be finalised. 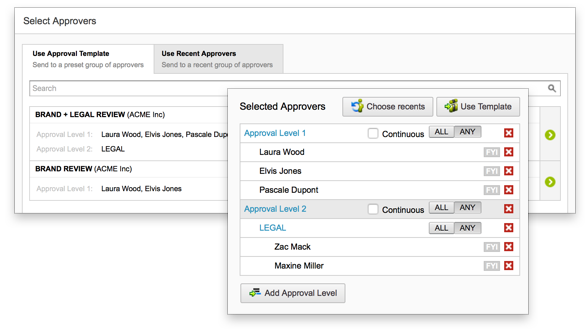 Admation allows you to set multi-levelled approvals to suit your processes. For sequenced approval pathways, admation sends artwork on to the next group of reviewers only once it’s approved by everyone in the previous group. Otherwise you can select groups to review and approve artwork at the same time. Fixed approval pathways guarantee that no stakeholder is missed in the approval process. Admation supports your teams by enabling anyone in the legal team to pick up and reserve an approval. Other colleagues can see when approval has been provided and view the activity if they required. Admation’s Approval Path Templates are a welcome shortcut. Simply select an approval path template which instantly designates the stakeholders who need to approve artwork on your campaign. 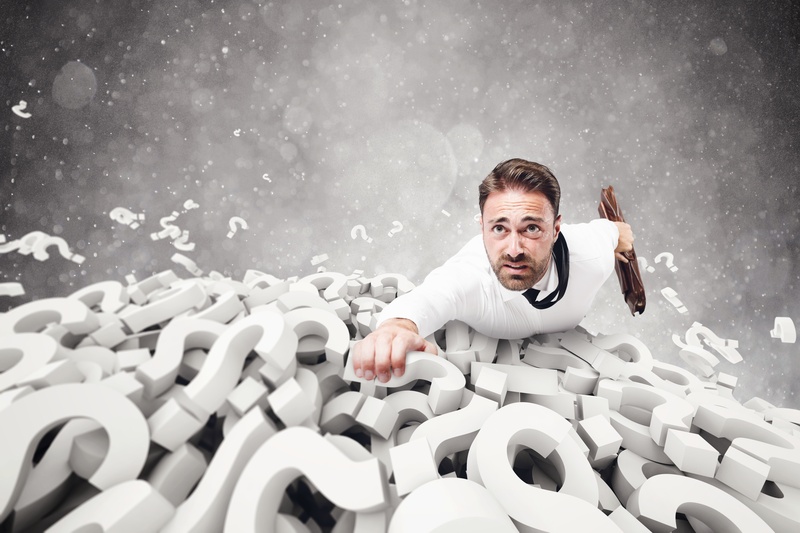 Admation creates an audit trail of work, allowing you to navigate between revisions, comments and feedback to see how marketing collateral is developed over the course of a campaign.